Prior to retirement from full-time work, Jill K. Anderson was an elementary music teacher and an elementary school principal. She currently serves as a part-time instructor in Music Education in the Peck School of the Arts at University of Wisconsin-Milwaukee. An active member of the Principals’ Center at Cardinal Stritch University during her career in school administration, she also held the staff position of Faculty Liaison to the Principals’ Center at Cardinal Stritch University for several years. She received a Master of Science in Educational Leadership from Cardinal Stritch University, a Master of Arts in Speech Communication (Radio and Television) from Bowling Green State University, and a Bachelor of Arts in Music Education from Ball State University. She is active in several local music groups and organizations, including the Milwaukee Alumnae Chapter of Sigma Alpha Iota. She sings in the choir and chairs the "Music at Historic Trinity" committee at Trinity Ev. Lutheran Church, Milwaukee. Jill’s areas of interest include music education and advocacy, arts integration, curriculum development/professional development in arts education, and educational leadership/professional development for administrators. She has taught courses and presented workshops and sessions at conferences on these topics. 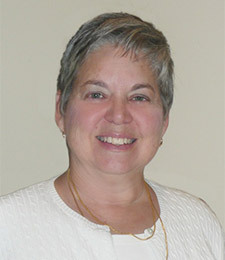 She chaired an Annual Conversation of the International Network of Principals’ Centers, served as an MENC (now NAfME) national chairperson (Music in Our Schools Month), held positions on the board of the Wisconsin Music Educators Association, and had several articles published in journals devoted to music education.